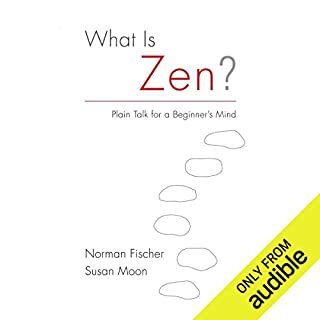 The question-and-answer format makes this introduction to Zen especially easy to understand - and also to use as a reference, as you can easily look up just the question you had in mind. The esteemed Zen teacher Norman Fischer and his old friend and teaching colleague Susan Moon (both of them in the lineage of Shunryu Suzuki, author of Zen Mind, Beginner's Mind) give this collaborative effort a playful tone: Susan asks a question on our behalf, Norman answers it, and then Sue challenges him. In Beyond Happiness, Bayda draws on Zen teachings to question our conventional notions about what happiness is and where we can find it. Most of us seek happiness in things that are external to us. We imagine that getting more money, a better relationship, or going on a nice vacation will finally make us happy. But Bayda shows us that the deepest and most lasting form of happiness does not rely on external circumstance at all. Beyond the meditation cushion, where do you ultimately find the profound clarity, presence, and simple joy of Zen? 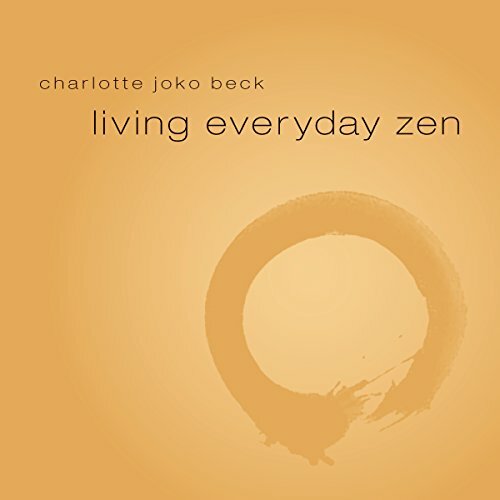 "Where it has always been - in everyday life," teaches Charlotte Joko Beck, "whether it's raising our kids, working in the office, or even cleaning the house." 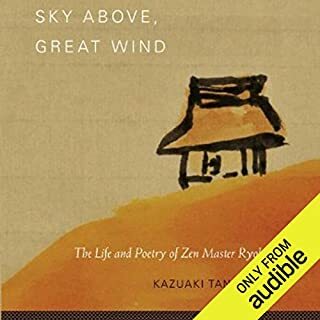 On Living Everyday Zen, this seminal voice in American Zen shares some of her hallmark teachings and insights from nearly 50 years of practice. 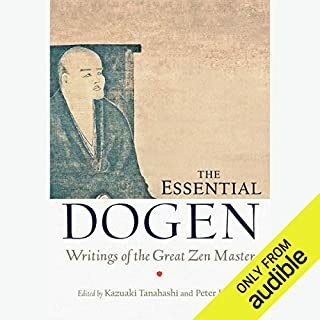 Beck's ability to make the abstract concrete and accessible for anyone who engages in the practice distinguishes her from most other Zen teachers. Beck was one of the best Zen teachers in American Zen and is known for not playing into the whole Zen Master scam. Easy to listen to. Human. Actually enlightened. And probably the antidote for most of the Buji Zen fluff and poseur teachers who preen their self images endlessly. 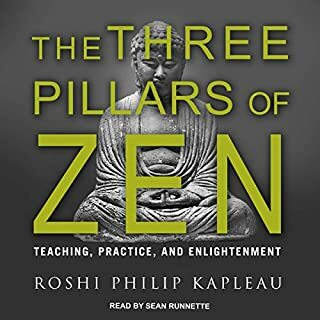 Really, their are no frills here, despite the bits of shakuhachi intermezzos...just a boring old Zen practice talk about living mindfully and failing constantly. though she is now gone she will never be forgotten. this recording of her Dharma talks illustrates the remarkable teacher she was. these talks really give an insight to how she views the world. I am so thankful to have found them. These are Zen teachings that fit North American culture given in a Western voice. One feels that one is listening within this intimate group of practitioners. I liked it, I felt it was exactly what I needed now, but I'm still trying to figure out some things, you can say she showed me a path, I'm just not sure yet that this is "the path" but it was a good listen. Heed the warning given in the first few minutes of the recording that the speaker will ramble. Ramble she does, but so slowly that listening at x1.5 speed sounds normal. The first "chapter" of these lecture recordings was more than enough time wasted for this listener. 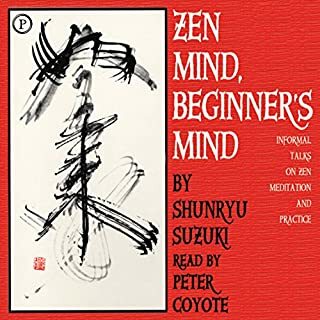 A good, plain spoken guide to zen meditation. 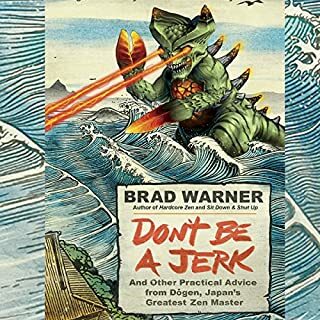 I found it useful and like the narrator's voice.